A new kitchen & bar recently opened up in South Extension - II, Delhi by the name of Up & Down. 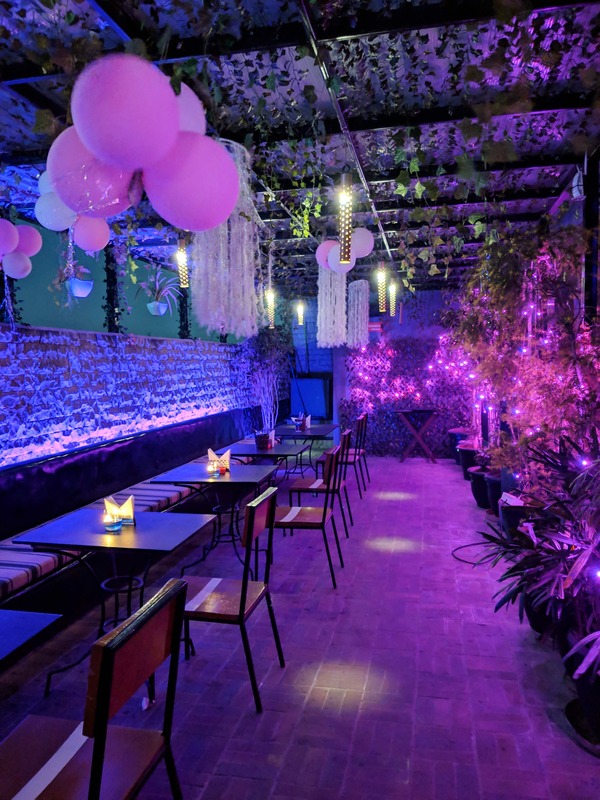 They have a spacious indoor party area with DJ playing the grooviest songs and a stunning rooftop which is beautiful light up by fairy lights, a live band entertaining the audience, a hookah station and an illuminated live bar counter. They also have a rooftop segment which gives you an aerial view of South Extension. Also, they recently launched their winter menu. My personal favourites:- Cheese cigar rolls with a spicy & hot dip in the starters segment and Dal makhni with lachha paratha & Pindi chole with butter naan in the main course. They also serve delicious sarson ka saag. All in all, this place is good for after work parties or you can also enjoy the night with your gang here. Service could be better though.